Providing strategic counsel to some of the best global brands, Lulu is one of the most well-regarded brand consultants in India. A knowledgeable anchor for Bloomberg UTV’s Beyond Logo – a special series on the value of branding, she has spoken at various conferences including the American Express Publishing Luxury Summit, Leading Hotels of the World Annual Assembly, CII-NID Design Summit, and Designyatra. 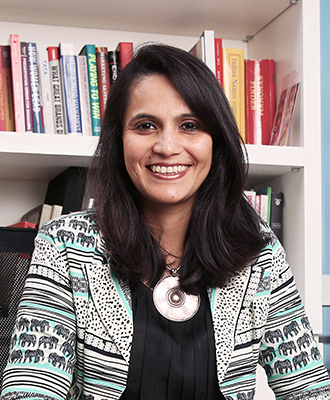 Lulu has led corporate and consumer branding programmes in diverse industries for a wide range of clients, including Alcatel-Lucent, American Express, Café Coffee Day, Fidelity Investments, Hewlett-Packard, Jet Airways, Panasonic, The Park Hotels, Samsung, Taj Hotels Resorts and Palaces, and Tata Global Beverages. She writes on branding frequently and is a two-time Atticus Award recipient for original published thinking in marketing services. Lulu was a brand consultant at Ogilvy Consulting in Mumbai, post which she joined Landor. She is currently the MD of the Mumbai office of Landor Associates, and has additionally worked in the San Francisco, New York, and London offices of Landor over the last 12 years.